Mangalore, India (CNN) -- Searchers on Sunday combed through the charred wreckage of the Air India plane that crashed in southern India, looking for the flight data recorder. Some clues to what happened could come from the plane's cockpit voice recorder, which was recovered Sunday, the civil aviation ministry said. The device had suffered some fire damage, but it is expected to yield information, the agency said. It could take two weeks to analyze the information on the cockpit voice recorder, the ministry said. Of the 158 people who perished when the plane crashed in Mangalore on Saturday, 128 bodies have been identified and handed over to relatives, said Air India chief Arvind Jadhav. Experts have been called in to conduct DNA tests on the remaining badly burned bodies to determine their identity, he said at a news conference Sunday. The Air India chief hailed the role of local villagers in Mangalore, who he said helped save lives after the plane crashed. 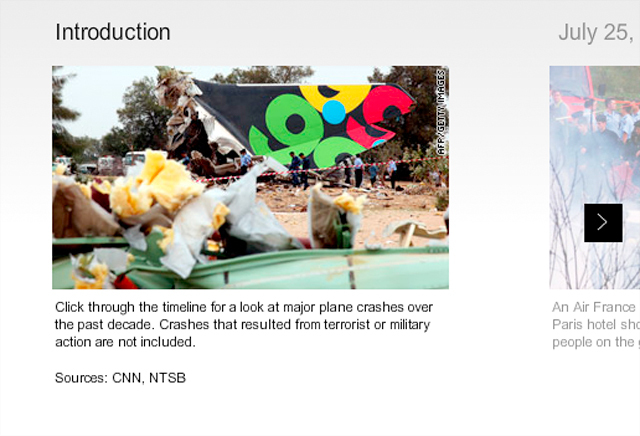 Only eight of the 166 people on board Air India Flight IX-812 survived the crash and were taken to hospitals. Air India spokesman K. Swaminathan said about 30 to 40 relatives of the crash victims have been flown into India from the United Arab Emirates in two separate flights. At the mortuary in Mangalore, family members waited for hours for authorities to let them in and identify the victims. But with many burned beyond recognition, loud speakers urged relatives to donate DNA samples to make the identification process possible. The U.S. National Transportation Safety Board announced Saturday that it will send a team to India to assist in the investigation. S.N.A. Zaidi, the head of India's civil aviation regulator, told CNN Sunday that the investigation could take months to determine the cause. Praful Patel, India's civil aviation minister, told CNN's sister station, CNN-IBN, that human error could not be ruled out at this point. He also defended the runway where the plane tried to land, saying it was adequate. "There is nothing wrong with the Mangalore airport," Patel said. One of the changes that could come as a result of the incident is the creation of an investigative agency in India to look at crashes, similar to the NTSB in the United States, he said. "When this tragedy happened yesterday morning, I not only went there, but I was praying, wishing and saddened by all that I saw," he said, adding that he took "moral responsibility" the incident. "I took it as something (where) tragedy has come on to me personally." The Boeing 737 took off from Dubai in the United Arab Emirates and crashed while trying to make its scheduled landing in Mangalore at 6:30 a.m. Saturday (9 p.m. ET Friday). Some of those flying back from Dubai were among the millions of Indians who work as laborers in Persian Gulf states. Ummerfarook Mohammed told CNN's sister station, CNN-IBN, that the cabin filled quickly with smoke after the jet skidded off the runway and hit a boundary wall. The impact created a hole in the plane's body, he said, through which he crawled out and ran for his life. Nearby villagers carted him in a rickshaw to a hospital. A medical student said she escaped from the plane and free fell until she was snagged by a tree, where rescuers found her. Mangalore's airport was "technically certified" by the country's civil aviation regulator. Earlier, Patel said weather conditions were good -- calm winds, no rain and good visibility of 6 kilometers -- and that both the pilot and co-pilot were experienced and had landed many times before at the Mangalore airport. They did not report any problems before landing the plane, the ministry said. Witnesses said the plane crashed through the hilltop airport's boundary wall and fell into a valley before bursting into flames, CNN-IBN reported. Indian Prime Minister Manmohan Singh announced financial aid for the victims Saturday and canceled scheduled events at his residence to mark the end of his first year in office. The government said families would receive 200,000 rupees, or about $4,260, for each dead passenger and 50,000 rupees, or $1,064, for every injured passenger. These amounts are in addition to compensation to be paid by Air India, Jadhav said. The airline announced that victims' families would recieve 1 million rupees, or about $21, 250 for each dead passenger older than 12, and 500,000 rupees, or about $10,600 for those under 12. Air India will pay injured passengers 200,000 rupees. Boeing released a statement saying the company would send a team to provide technical assistance to Indian authorities during their investigation. 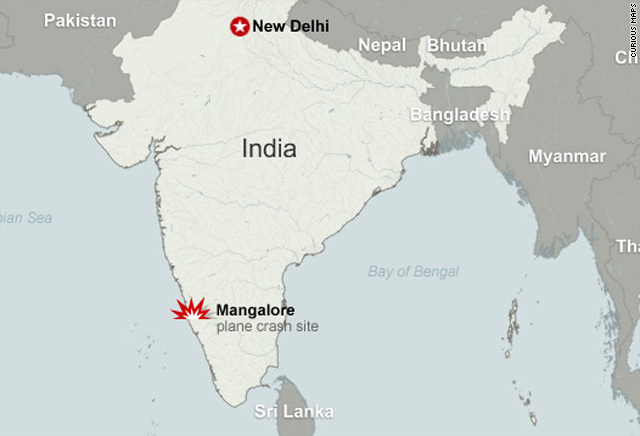 The NTSB team is expected to arrive in Mangalore on Tuesday morning and will include a senior air safety investigator, a flight operations specialist, an aircraft systems specialist and technical advisers for Boeing and the Federal Aviation Administration, the NTSB said in a statement. The city of Mangalore, situated in the state of Karnataka along India's Western Ghats or hills, had just christened a new terminal. A week later, it was marred by the crash, India's worst aviation disaster in a decade. CNN's Harmeet Shah Singh, Liz Neisloss, Raja Razek and Jennifer Deaton contributed to this report.